I made Braised Cardamom-Curry Lamb which was a big hit at my house. This is one of those recipes that you may take in several directions. It can be a little spicier (although, the complex flavour hits from the cardamom & curry are lovely), it can be fruitier depending on the type and quantity of apples and/or figs. This one will be added to my favourites. What a gorgeous book and very "cookable". Try the Chicken, Apples and Cream a la Normande, delish on a cool fall eve, pg. 218 or the M. Jacques' Armagnac Chicken pg 204 also delish. I'm looking forward to delving further into this book. Rec'd this book as a gift and came to appreciate it when it was selected as Cookbook of the Month on Chowhound. Most of the dishes I tried from this book were terrific and overall, the book exceeded my expectations. Recipes produced beautiful, tasty food that everyone enjoyed. I'd happily recommend this book to anyone looking for a reliable book of tried and true recipes. Light texture. I prefer The French Laundry, I think. 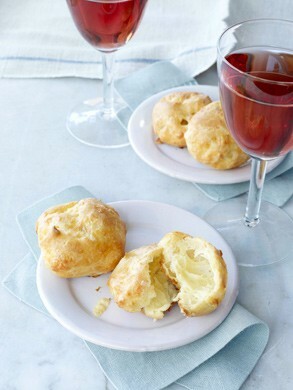 One of the best gougeres recipes yet; even better than Zuni. Please note that this recipe calls for cheese in addition to the mentioned ingredients. Just pulled some out of the freezer (they have been there for at least four months) and they cooked up perfectly! I made these to bring to an informal neighborhood meet and greet. They tasted fine, but unfortunately they didn't look too impressive (didn't puff as well as they should have). I think our high altitude is to blame, and I need to do some research on altering recipes that rely solely on eggs as the rising agent. Therefore I won't give the recipe a star rating yet. Excellent. Light and airy and cheesy. I was trying to minimize the number of dirty bowls so I tried to hand whisk in the pot, as I usually did for my cream puff pate a choux, but this made more dough than my cream puff recipe, after 3 eggs, I had to enlist the help of my husband. Next time, I'll use the alternate method of whisking the eggs in in the stand mixer. So delicious. Next time I will try with an extra sharp cheddar, or maybe a mixture, to get a tangier taste. This was the first time I have tried making gougeres. I had no idea that they were so easy. These were excellent. I froze them and they cooked fine. I needed to cook them about five minutes longer than the recipe indicated. Scrumptious. Made with extra sharp cheddar, and easier than I thought working with pate a choux would be. These were a success -- and quickly devoured -- at a cocktail party. Others liked them more than me, but maybe because I knew how much butter is in each bite(!) Gruyere made them seductively delicious. Very easy -- rolled into logs (1=1/4" thick) and refrigerated overnight, and sliced 1/4" to bake on silpat for 15 minutes. I used aleppo pepper some some mysterious flavor, and black pepper since I don't have a white pepper mill. The bite of heat is a very good idea to adult-ize the richness. I only made a half-batch. I wasn't sure we would love these enough to justify using all the somewhat expensive cave-aged Gruyere on crackers. They were so delicious. Making another batch today. I'm beginning to drool just thinking about them. These were very good and quite reminiscent of cheez-its but even better. Delicious! Used 5 1/8 oz of flour and the suggested 1/8 teaspoon of Aleppo pepper. Agree with Foodelf that more pepper would be a good thing. Gruyere cheese from Costco, not the cave-aged. Baked in 17 minutes. Used a cookie sheet for even browning on parchment. Worked well. These crackers practically caused a stampede at my office, someone asked me if he could place an order. They are so easy and the result - highly addictive and delicious. I made mine quite small which worked well, but for those who don't like to roll out dough, it could be rolled, tube-like and sliced into discs after chilling. I would be a little more generous with the Aleppo pepper next time. I also reviewed these crackers over at the EYB Cooking from Your Books thread in the Forums. I made these to the point of freezing for my mother (85) for her bridge club and they were a great hit. All she had to do was paint on the egg wash and sprinkle on the poppy seeds and bake. I used Dufour puff pastry which is made with butter. I didn't care for these. 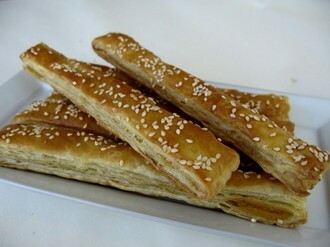 The mustard flavor was too strong and sharp and overwhelmed any flavor of the puff pastry. Lovely crunchy texture and baking times perfect. I wasn't really sure what was meant by chili powder here, so I used a blend of paprika, gochujang, and cayenne. Good, but the gochujang as a very vegetal flavor so don't use that next time. Made these to take to a Christmas film night and the other 3 guests all asked for the recipe! A very easy recipe which looks and tastes special. I used homemade ricotta which had already had a long nap in a cheesecloth hammock, so I didn't drain it further. The cheese is simply mixed with chopped shallot and garlic, fresh herbs, a little vinegar and olive oil, salt and pepper. My market, which always has it, was out of tarragon. The produce man said everyone was asking for it. So maybe some pop star on the food network is hyping it up. 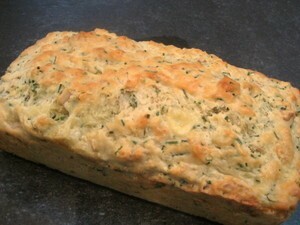 I used fresh chives and parsley, and threw in a small amount of dried tarragon. You could probably use any combination of herbs you like for this. This goes into the refrigerator to mature for a few hours. It comes out great! It's a recipe you could play with a lot, more garlic, cracked pepper, etc. It has a lighter, crisper feel than the boursin you buy in the market. A success here. p. 24 - Excellent. Nothing especially unusual in terms of prep though DG does suggest that you finely cube the cucumber vs grating it. The ingredients also are standard w the exception of the 1tbsp of extra virgin olive oil that DG calls for. She suggests you add equal amounts of dill and mint whereas I chose to do a 3:1 ratio of dill to mint. I picked up some wonderful, super-thick Greek yogurt at a fabulous Persian market I discovered during Arabesque month so, no draining required. DG has you mix all ingredients together once the cucumber has drained for 30 mins whereas I prefer to mix all the ingredients except the cucumber together to allow the garlic flavour to develop and then I just stir in the well-drained cucumber right before serving. This was good, as we expected it would be. I’d skip the evoo next time as I didn’t feel it added anything. p. 25 Quick, delicious and different; we loved this and will definitely make it again! DG calls for 2 x 3.75 oz cans of sardines. I opted to use just one can for our first go at this dish. DG calls for Neufchatel or cream cheese. Since I had Quark, I chose to use that. This is a case where a specific quantity of citrus juice is not specified. DG calls for juice of 2 limes or, 1 lemon or, to taste. I found 2tbsp to be just right. 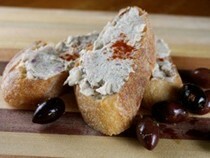 My rillettes were loose, like a dip and it would have been even if another can of sardines had been added. Perhaps this is partially due to the fact that Quark is much looser than cream cheese. I’d whole-heartedly recommend this dish. It’s flavours far exceed the effort it takes to prepare the dish and it’s a different option to serve dinner guests. I served it w grilled pitas and, an assortment of crackers. Saltines were my preferred option in the end. Do try this; it’s wonderful! Left the bones in, used neufchatel cheese, juice of one lime only, chives, parsley and dill. I pureed a handful of cornichons with a dash of vodka for sorbet, which was a great accompaniment to the rillettes. A big success, very tasty. I made this for a starter with home made foccacia bread. It was easy and delicious. Definately will make again. This is good with a variety of herbs. It keeps well for quite a few days. In fact it is better after a little bit of time in the refrigerator to allow the flavors to meld. great starter. 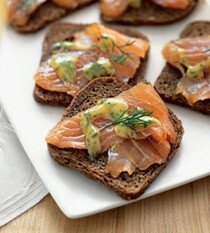 Salmon Rillettes on page 26. While the recipe turns out a tasty salmon spread (a combination of fresh and smoked salmon), it was nothing like the rillettes I've had in France. They always had that rich, embrace your tongue feel that only comes from quantities of fat. Per Greenspan's suggestion, I made this spread not as an hors d'oeuvre, but as a sandwich filling for lunches. Very nice with the suggested lettuce and tomato on toast! I used the full amount of cream suggested, but want to try it with crème fraiche next round. I made the pesto version in the bonne idee section and it was great. The pesto, sundried tomatoes, and pine nuts made for a very Italian bread that had good flavour and great texture. I actually doubled the recipe and baked in a springform pan to mimic the appearance of a cake. Used cheddar and gruyere and it was great. Fabulous toasted with a little butter. I don't know what it was, but this was just okay. I used sharp cheddar and satori merlot rind cheese. The bread didn't really taste of cheese. I might try this again, but probably not. This bread is very tasty, the texture is a little dense but it can easily be cut into nice, thin slices. It was great with tapenade as a spread. The chives were a nice touch and went well with the cheese. I'm with JKDLady - it was all right, but no particular wow factor. Used as a side for soup. Cooked true to suggested time. Healthy, probably. But not a standout by any means. This was absolutely delicious. Not particularly difficult to make but you have to cook the onions much longer than she suggests. I added bit of parsley to give it a bit of color and you went slightly lighter on the anchovies in the last step. Great flavour and texture due in part to the overnight rest of the dough in the fridge. The dough was easy to make but so wet that the paddle attachment on my stand mixer was far more effective at kneading it than the dough hook. I used half whole wheat bread flour. This soup is based on an asparagus stock instead of chicken stock, as a result the soup has a potent asparagus flavour, but this is a good thing. Quite light and very aromatic because of the various members of the alium family that went into the pot. Overall a very nice celebration of asparagus. Great little soup that is super light with the flavors of lettuce, peas and onions. Much better flavor than I was expecting but not good enough that I'd really want to make it again. I used this soup as a sauce for the Cod and Spinach Roulades. This soup looks so bright and pretty as it starts to cook, and it makes a nice sauce for fish! On first taste, this soup is good, but not spectacular. I'm going to let it think about it in the fridge for a bit, but for now, at least, the paris mushroom soup seems to me to have the bigger wow factor. After sitting for a couple of days, and served with the curried, sauteed apple: SPECTACULAR. Definitely a keeper. This was a really nice soup with complex flavor from the celery, celery root,and apple. Very creamy even though I did not add any of the dairy (listed as optional). Will definitely make again. Very healthy also. Did not make the curried apples but will next time. I did not taste it the day I made it, as I was in a rush, but we ate it the next day and the flavors melded nicely. This soup was very different and quite delicious. All three of the primary flavours stick out in the finished dish, the sweetness of the apple, the slight bitterness of the celery, and the mellow celery flavour of the celery root. Simple and delicious soup. Really delicious soup with a complex flavor. The combination of the celery, celery root and apple gives it many notes. Very creamy without adding any dairy. Definitely would make again. I made the variation with fennel and it was pretty good. I found that the Milk and broth mixture made for a slightly richer stock which was nice, but I'm not sure it was that much better than straight stock versions of potage parmentier I have tried elsewhere. The fennel isn't a bad touch but you need to go with a very big fennel bulb otherwise the flavour might get lost in the leeks. I made the standard version. It was fine, but a bit boring. Very good, thick and creamy soup without any dairy. But next time I am going to only add 4 cups of stock as other person noted so it is thicker and has more cauliflower flavor. The celery-celery soup is more interesting, I think. That said, if you have a cauliflower about the place, this is a decent use of it. Simple, gentle food. Onion, garlic, celery and fresh thyme are sauteed (I used only olive oil, Dorie calls for half butter) and they sweat for 20 minutes. Then cauliflower and chicken stock go in to simmer for another 20 minutes. While the recipe called for six cups of stock, I added only four. When I make pureed soup I start with less liquid. I like a thicker soup, and stock can always be added later if needed. When the cauliflower is soft, the soup is pureed. I used an immersion blender which is said to be less than ideal, but the texture seemed fine. Dorie offers several possible toppings for the soup, I chose a little bit of sour cream and a little bit of caviar. That is another reason I didn't want the soup too thin, I didn't want a plop of caviar to just sink to the bottom of a bowl of liquid. I thought this one had a very nice flavor, and a creamy mouth feel without any cream. This was perfect comfort food-very flavorful. (I thought the thyme was particularly nice here.) Will probably be a repeat given how low in calories it is. I had a monster cauliflower and needed all of the liquid. I agree with all the other noters who commented that the soup is very creamy, especially since it’s without the addition of any dairy. My basic Vitamix blender puréed it wonderfully well. I topped our soup with matchstick thin slices of sharp cheddar cheese. I’d like to experiment with other toppings and will do that next time. Served with a baby spinach, dried cranberry, and sunflower seed salad as well as a baguette. My cauliflower was huge, so I definitely needed all 6 cups of liquid or it would have been too thick. It's not bad but needs something for some texture. Maybe croutons? I do think this one was better than the Cooks Illustrated version. Less work too! I tried one bowl drizzled with olive oil, and one bowl sprinkled with sharp cheese. I usually love things topped with olive oil but I didn't feel like the flavor worked here. The cheese topping was great though. Very nice texture and flavor and I liked that it was very healthy (minimal fat and no dairy). Used the immersion blender and that worked fine. Definitely benefits from one of the toppings/add-ons that she suggests. Would make it again. Put half in the freezer for later and haven't taken it out yet, but I expect it to freeze well. Made this today and really liked it. The thyme went really nicely with the cauliflower. The soup is very creamy with no added dairy and this makes it lighter as well as tasty. This will be definitely be repeated. We were all fans of this one. Really big fans. Used 6 cups of chicken stock, and thought it was spot on. Used a Vitamix to blend, let it rip. Great with a baguette. Also added creme fraiche and a small dollop of cheap caviar. Great. Definitely a keeper for me. Lovely flavour, lovely silky texture. And a great soup for winter, when there aren't that many interesting local veg to play with. Also, as noted below, quite healthy! Pg. 72. This soup has been on my To Do list for years and yet somehow I'd never gotten around to it. I finally did and it made a lovely starter for Christmas dinner! I followed the directions exactly and it proved to be a simple, straightforward and relatively quick recipe. It's not the prettiest soup, kind of a dull brown color, but the taste is sublime. Pg. 74. This soup had wonderful flavor! For such a simple preparation, the soup was absolutely delicious! I followed the basic recipe, sauteed the vegetables with butter only, used both rosemary and thyme, and pureed the soup until it was totally creamy. I thought the thickness was exactly right and did not feel the need to add more broth. The soup was a lovely shade of orange. I topped it with some minced rosemary and grated parmigiano reggiano -- a drizzle of olive or walnut oil would be nice as well. This soup is so healthy, simple to prepare, and beautiful -- I will be making this again very soon, probably with some of the other suggested vegetables. The soup was bland. It didn't take on any of the flavors of the vegetables. I will note that I used vegetable stock in place of chicken stock. Such a simple and flavorful soup. I used mostly butter and a bit of olive oil for the saute of the vegetables. Added a pinch each of dried thyme and dried rosemary and a fair amount of chopped ginger. Used two medium size red bliss potatoes that I peeled and pureed the soup with an immersion blender. All ingredients are always available in the crisper of the refrigerator and the pantry. I cooked it in the instant pot, high pressure for 7 minutes and quick release. I really love how light yet flavorful this soup is. Have made it many times and always follow the author's ingredients and technique. Perfectly seasoned. Ok. Not as good as her celery soup. I like how easy this soup is to make. I wish the flavor was sharper. It will need my usual doctoring--some vinegar, some hot sauce . . . Similar to my experience with celery-celery soup: on first taste, this is unremarkable. Texture is lovely. Utterly silky. But flavour is not at all interesting yet. I'm going to let it think about itself over a day or two and try again. That seems to make a big difference with the Dorie soups I've made so far. And if THAT doesn't work, in go the roasted chestnuts! Possibly my new favourite squash soup, the fennel and orange are very nice and the pear is much more subtle than the usual apple. This was surprisingly delicious! I made this because I needed to use up a leftover jar of roasted chestnuts. I pretty much followed the recipe exactly, using 2 leeks as specified, and 2 ripe red pears. I used thyme for the herb. I puréed using the immersion blender for convenience, however, it would probably have been even better had I used the Vitamix to get a smoother consistency. The flavor was slightly sweet, very slightly nutty. The color was not that appetizing, but maybe adding a topping of some sort would overcome that. This would definitely be worth making again. This is a delicious soup, full of summer vegetables (tomatoes, zucchini, corn, green beans, etc.). and topped with pesto. Pg. 83. This soup was a perfect choice to use many of the vegetables purchased at the weekend's farmers market. I made a few substitutions: patty pan squash in place of zucchini, frozen corn in place of fresh, purchased pesto and vegetable broth in place of homemade, skipped the pasta and instead increased the amounts of vegetables. I love how healthy this soup is, providing one doesn't overdo the pesto and parmesan. Flavor-wise, it was a bit flat for me. My husband really liked it. Pg. 89. This was very good! I made it with vegetable stock and substituted 2 turnips for the parsnip. I thought the spice amounts as written in the recipe were exactly right -- I did not feel the need to increase them. The amount of barley was too little, I think. It barely showed up. In future, I would either increase it, or eliminate it altogether. Addendum: On the day after I made this the barley had absorbed significantly more liquid and was very much present in the soup rather than invisible like the day before. There was still plenty of broth as well. So, in future I would plan to make this the day before I wanted to serve it. We thought this was delicious - different from most barley soups. Substituted turnip for the parsnip and upped the spices. We used water (not stock) and used the chilli flakes (optional) which provided a good level of heat. My dad grew up in Spain eating avocadoes with honey. It's really good! So I combined this recipe with his history using my favorite honey for this appliaction: Wedderspoon's Organic Dandelion honey from New Zealand. It was mind blowing with the pistacio oil! So easy and delicious! I used a full pound of carrots but only needed half the dressing so we used the rest on salad greens throughout the week. Next time I will just double the amount of carrots so we have leftovers for lunches. May 2018. I agree. Easy and delicious. Does not need honey. Makes a lot of dressing. Used all optional ingredients. Good. Not sweet, as I worried it would be, but light and refined. Wish I had tasted a full cross section of the summer squash. Some slices had a funky taste that I didn't detect before serving. I agree. This is good. I did find pink peppercorns and was surprised that they have a subtly rose/floral + peppercorn flavor. I did not use any vinegar as the strawberries were perfectly ripe and flavorful. I deviated from the recipe in a couple ways. I could not find pink peppercorns, and I had run out of raspberry vinegar, but I happened to have a small bottle of raspberry puree with red and green peppercorns. I used a very tiny dash of that, which was rather sweet, so I added a tiny dash of red vinegar. Dorie says the dish should be made just before serving, but I tossed the tomatoes and strawberries with the other ingredients, and let the flavors meld for a short time. I love strawberries in salads, but haven't paired them with tomatoes before this. What a stellar combination. These flavors tickle every bud on the tongue map. This one definitely goes in my do again list. I loved this, but it was a bit tangy for some of my family members. The combination of cider vinegar and lime juice is strong. I will definitely make this again though. Great salad for a hot summer day. I used romaine hearts rather than butter lettuce, baby bliss potatoes, green beans from the garden and a lemon vinaigrette. Like Laura and Breadcrumbs before me, I also topped the salad with tarragon rather than parsley because tarragon is growing in the garden and parsley is not. This is our go-to recipe for Nicoise salad. Very tasty. Pg. 125. We've had many Nicoise salads but have never made it at home. This was a lovely use of many items from the farmers market: butter lettuce, green beans, tomatoes, shallots, fingerling potatoes, and eggs. It's also a good do-ahead recipe as much of the prep can be done in advance. I made the Everyday Vinaigrette and used a tarragon wine vinegar and also finished the salad with fresh tarragon rather than parsley. Rather than the usual canned tuna, we had tuna medallions in the freezer, so we grilled those for a very short time and served them with the salad. This was a thoroughly enjoyable summer salad that we'd be happy to make again. I have to tinker. We made the lettuce-green beans-potatoes-cherry tomatoes-olives-capers-eggs as directed, but mixed up a Dijon/white wine vinaigrette spiked with Penzey's country French dressing mix, and seared a massive tuna steak crusted with pepper & herbes d'Provence. This was more filling than I expected, and a great warm-weather dinner. Great technique resulting in a spicy, sweet, and tangy salad. Pg. 138. This is a delightful salad, appropriate for any time of year, but especially nice in spring/summer as a light meal. I like that it offers the flexibility to choose a range of dried fruits, nuts and herbs. I made it with dried cherries, cranberries, golden raisins, walnuts, pine nuts and pumpkin seeds. For herbs, I chose parsley and mint. The only change I would make would be to add a lot more mint -- those bites with a hint of mint were the most delicious. I served this over a mix of fresh baby spinach and romaine. We did not add the yogurt, but I think I would next time. And there will be a next time! Loved this recipe. Do not do shortcuts, make exactly as written and you will be rewarded. This is a great salad for a light summer dinner for the two of us (with enough left over for lunches the next day). We cooked the wheat berries in the InstantPot (25 min./high pressure) and then hardboiled the eggs in the InstantPot afterward (13 min./low pressure) for an easy and oven-free summer dinner. The crunch and sweetness of the apple is nice with bell pepper and tuna. And this recipe doesn't even create a pile of dirty dishes (unusual for our house)! Used thyme instead of rosemary and left the garlic in. Ended up having to cook the potatoes for closer to 45 minutes. This was a great brunch dish and better than Mark Bittman's already good version from How to Cook Everything. I have been dying to try these flans. I made them for a first course last night, part my first COTM menu where every dish disappointed! The flan is made with 15 ounces of canned pumpkin, 3 eggs and one yolk, 1/2 cup of heavy cream, salt and pepper. The ingredients are whirred in a blender, poured into ramekins and topped with crumbled gorgonzola and toasted walnuts. They are baked in a water bath for 35 or 40 minutes. Too much egg or cream, or too much whirring. Too flan-y (light and mousse-like) to stand up to the gorgonzola and walnut. I'd like to make them again, but make the pumpkin denser, like a savory pumpkin pie. Mr Nightshade suggested that we just mash up a sweet potato and bake it topped it with gorgonzola and walnuts. Oddly, I did like these a little more on day two. My first souffle and it was amazing. I have made it several times since and serve with a salad for a light meal. Got to use all my favorite kitchen toys to make this. I think we cheated ourselves out of some puffiness because I wasn't sure how to judge doneness, so we stuck a spoon in it too early and had to stick it back in the oven. Cook's Illustrated recommends an internal temp of 170 - will use this next time. It was delicious served with some baguette and salad. I have made the leek and carrot version in the past. [Reviews on Chowhound.] Tonight, I made the Bonne Idea version with the last of the garden tomatoes. I really enjoyed the tartness of the tomato. In the future, I would add some basil or another herb to give a slightly grassy note. The name scared me. It shouldn't have--the mustard is subtle. It was divine. One of my favorite Dorie Greenspan recipes. As Stockholm 28 notes, it's mostly veggies; there's just enough cheese and custard to bind it together. You can use just about any combination of veggies. I followed the recipe except for one substitution--I used a poblano pepper instead of the red bell pepper called for--and it was delish! Cut all the pieces at once, before the cheese topping firms up. It's messy to cut once it's cool. Good. This is different from most quiche in that it is mostly vegetables with just a small amount of egg and cream to bind it. The cheese is sprinkled on top near the end. The filling was very flavourful and less custardy than many recipes with a high ratio of spinach-bacon to egg mixture. Meat lovers barely noticed the spinach but there was enough going on that the bacon didn't overwhelm the other ingredients. The author's tart crust recipe was easy to make and held up well against the moist filling. This was a huge hit. Not too heavy, just perfect flavor. I made the tart dough in the food processor and it was flaky and delicious. I see that I am the third person to rate this quiche at 3 stars--but the first to write a note. This was edible--and I used prime ingredients--freshly foraged wild mushrooms and shiitakes grown on an oak log in my garden, local organic eggs and cream. It should have been much better but something is off in the proportions. I used leftover tuna steaks from the confit instead of canned tuna. I just broke the steak up with a fork and added the other ingredients. I did put this under the broiler to heat up briefly, but I think it would also be good at room temperature. I added a little dab of the preserved lemon/sundried tomato/onion mixture from the tuna confit on the side of the peppers. A nice little tapa dish with strong, compelling flavors, plus those little stuffed peppers are pretty darn cute. My avocados were much too ripe to slice into the "ravioli" sheets, so I just diced them and placed the crab on top. The crab salad itself is delicious, and due to the lime, a bit ceviche-like in taste. I used fresh raw Maine crab meat. Simple, but I love the addition of the bread on the bottom of the pot. A staple weeknight meal. This is simple to put together and yields a flavorful peasant style dish. I personally wouldn't bother with the bread as it gets a bit soppy. I put a bit of the roasted garlic in to my pan gravy. The veggies are very nice. With a regular 3 lb chicken this serves 3. Such a simple recipe but chicken was so tasty and moist. Everyone loved it! Also made with brandy. Quite tasty but the chicken didn't brown so I had to take off the lid and broil for a bit. The chicken took a good 20 minutes more to fully cook than the recipe specified and the skin never really browned. This really reminded me of a chicken version of pot roast. This was OK, and definitley wouldn’t recommend it as a must try. Though if you do have 8 small potatoes, three onions and 8 prunes (optional but is the star here), give it a go. Fall/winter dish. The chicken didn’t brown, or will it with all the liquid from roasting, so put it under a broiler or bust out a torch. Mine also took about 15 to 20 minutes longer to cook and the chicken fat didn’t render out. Good flavor, especially with the prunes but far from magnificent. Not sure I would do again. This was a fun recipe. A once a year recipe and definitely during the cooler months. The preserved lemon makes it. I searched high and low for the preserved lemons and finally found them at Sur La Table. I also used pizza dough from the refrigerated section in the grocery next to the cookies in a tube. I have a large Le Creuset Dutch oven, not sure on the size, but the heavy one and the amount of veggies worked for me. There of course were lots of leftovers, but great. I did peel the garlic but won't next time. I see where it will help differentiate them from the sweet potatoes visually. I had a hard time browning the chicken, I didn’t use two pots and just used the dutch oven to brown the veggies and chicken, didn’t work for whatever reason. Chicken came out fully cooked at 55 minutes. It was fun munching on the pizza dough crust too. 4 1/2 stars from us. This was alright. The celery gave the sauce a bitter flavor. There were a lot of vegetables. Instead of making this in multiple pots, I cooked everything in a single dutch oven. Very good. I saw someone's suggestion to use cheap pizza dough to seal the Dutch Oven and that was a timesaver for me. This was okay to me, but my husband loved it. I agree that there are too much vegetables. I had an eight pound bird, so it did not fit into my largest Dutch oven with all that vegetables. Had to cut the chicken down and saved the back and wings for stock. Cutting the chicken into pieces was an option in the recipe, but the presentation was not as pretty. My thyme was not vigorous enough to be harvested, so had to use dried thyme, and mistakenly put in sage, and then added thyme. Used pearled onions and peeled the garlic cloves. My bread seal did not look as good as her picture, the exposed part was quite burnt. Substitution for preserved lemons: I'd recommend lightly sauteeing for a minute or two a couple of seeded lemon slices in just a touch of light oil with some salt, then putting it in the oven (in the skillet) for ten to twelve minutes in a moderate oven, adding a pinch of salt and a tablespoon or two of water, to prevent the juices from getting too sticky. Then I'd chop it and use it with the pan juices. Preserved lemon has a somewhat more mellow, less acidic quality than fresh lemon, which is why I would not substitute fresh. This dish was pretty, but there are several changes I would make. I would make the dough an edible one instead of just flour and water. Use salt and perhaps yeast. There are way too many vegetables in this. I cut the number of vegetables in half and that was still a lot. The sauce was good. I'm not sure I would make this again though. The carrots, sweet potatoes, and garlic cloves were perfectly tender and tasty, and the chicken was moist and flavorful. This is a very simple dish (at least it is without the dough seal), and worked well for a casual dinner. I served the salmon rillette as an appetizer, the spiced squash, fennel, and pear soup as a first course, and Marie-Helene's apple cake for dessert. It was a tasty dinner with a simple country French feel. The preparation of all the dishes allowed plenty of time for visiting and filling wine glasses. This was a great roasted chicken. Even the dough seal really isn't that difficult - and the drama of breaking the seal and discovering the juicy chicken is unbeatable. p 212 We loved this tagine made in a clay pot on the gas burner using a difuser as a precaution. Didn't have star anise. Only one star anise point is required. I also forgot the optional toasted chopped walnuts for serving. As Dorie says the resulting liquid in the cooked dish is a jus, not a sauce. It is very, very flavorful and I served with couscous. Dorie also suggests serving with quinoa or rice. Addition: I made this again in spite of the fact that I had no sweet potatoes. Instead I substituted russet potatoes but add a sliced apple for sweetness. The apple was delicious. Think I will add it even if I have sweet potatoes. We really liked this. Just the right amount of spices. Some Moroccan type recipes have too much cinnamon for my taste, but this was just right. And I love Saffron. Definitely will make again. Wow, what a wonderful one-pot meal for a wintry night. I served it by itself, without the suggested couscous or quinoa, as I felt the sweet potatoes provided enough carbohydrates. I thought I had prunes but they turned out to be dried cherries, so that was what I used, substituting 3 cherries for each prune called for, Will definitely make this again. Good, but maybe not worth a repeat. I just cant get excited about sauteed chicken dishes. If I change my mind, I will try reducing the mustard a bit and adding a bit more garlic. Chicken was tender and moist. I thought the sauce was very flavorful, mustardy, of course. I liked it quite a bit for a quick weeknight dinner, and I'd do it again. Just served it with roasted broccoli, couldn't be easier! I did half Dijon mustard half grainy stone ground and it was fabulous! This was OK. Add more apples! Also watch the cooking time on the chicken breasts, our’s were overcooked. Have that thermometer ready. We were hoping to be transported back to Normandy with this recipe but it fell short. I was excited to use our Calvados though, maybe should have doubled that. We also used apples from our tree, they were great...but we wouldn’t do this recipe again. This is close to the Diable recipe that follows in terms of rich and tasty flavour. The sweetness of the apples adds a nice little note. This was good but it seems that it would be better with dark meat over chicken breasts. Also, the apples never softened completely. Delicious, easy recipe. I wasn't sure about the sweet cookies in a chicken dish, but it worked! They were nice with the tangy creme fraiche. I used Trader Joe's speculoos cookies, and they were perfect. I might adapt this with different flavors in the future; tarragon and chives in place of the speculoos would probably be good. This was an extremely easy weeknight meal that made the kitchen smell lovely. It didn't knock our socks off, but Mr. Nightshade said he'd be fine to have it again. I would make it again if all I had in the fridge was chicken breast, peas, onions and peppers. Otherwise, I'd go to an Indian cookbook. I was just a little disappointed in this one, but wondered if I had over-filled the parcel. I have another package in the fridge ready to try for lunch, so perhaps that one will work a little better. Despite the curry, I found the flavours just a touch bland - maybe add a little garlic? not sure I'll keep this in the repertoire. This was a excellent easy recipe for duck breast. We used wild mallard duck breasts and just adjusted the cooking time a bit shorter and watched carefully to make sure it was medium rare. We also cooked the two leg-thigh pieces and my husband loved them with the sauce. The sauce is quite flavorful with very little fuss. I used bottled Key Lime juice because I did not have a fresh lime handy and this really gave it a nice lime boost. Be very very careful not to over brown the breast when it is skin side down. In your le creuset I would go with a max of medium heat. Other than that worry the breast was deliciously rare with her cooking times, and the flavour was great. Sweet but not overly so. Followed the recipe timing exactly. The sauce was delicious. Everyone enjoyed it. This was better than the Les Halles version as it called for much less pepper and than did the trick. Added a bit of lemon to the sauce to cut the fat a bit, and popped the steaks in the oven for a few minutes to get a better temperature. Ho hum. That was my reaction to this recipe. I made a special trip to buy the cognac and was surprised that it barely registered in the flavor of the sauce. I chose to simmer rather than flame the sauce, but don’t think that would change the flavor of the cream sauce That much. My beef deprived husband (we’re trying hard to follow a reduced beef diet), on the other hand, very much enjoyed his steak, although conceded he’d had much better sauces and pepper steaks than the one he was eating. This isn’t a recipe I’ll be repeating. Much better filet mignon recipes in my Cooking Light cookbook. This is a pretty straight forward preparation, but since my husband scorched our cupboards by adding the cognac to the pan when it was still too hot, I thought I should add a note saying you should let your pan cool before putting in the alcohol. It wasn't my favorite steak preparation either. I think the cream dulled the flavor a bit, I think I would rather have a plain wine reduction. This was quite good--had a nice depth of flavor, and the sweetness of the carrots and parsnips balance out the deep flavors of the beef. (Although the parsnips are listed as optional, I wouldn't leave them out, and I probably doubled the quantity to 1 pound.) I reduced the amount of beef by 1 pound (to 2 1/2 pounds), leaving the other quantities the same, and think it could still serve 6. Although the prep isn't complex, it does take a while to sear the beef/cook the onions, plus 2 1/2 hours or so of braising time, so may be better for a weekend meal/work at home day. My only issue was with the amount of sauce left after cooking; although I checked per the recipe at 1 hour in, and the liquid level seemed fine, by the 2 1/2 hour mark there was very little left in the pot, and it was too late to add more. So may need to watch more closely, or add a little more than looks right at the beginning. Served with a fennel/arugula/asian pear salad and mashed potatoes. Very good, My piece of beef was only about two pounds, but I kept everything the same. No parsnip which was optional, so I skipped it. No fresh thyme and running late, did not want to go out to the green house for the fresh rosemary, used 1/2 tsp each of dried and a bottle of my husband's home brewed pinot noir. In the oven for 2 1/4 hours and the beef was tender with just enough sauce left in the pan. Will definitely make again. Pg. 244 Comes together relatively simply and yields tasty results. The parsnip is a nice touch. The only challenge is that the beef does dry out a little which is a common problem with beef during a long stewing. The sauce does compensate for this, my suggestion would be to thicken with beurre manie or a little cornstarch slurry. I made this with the chuck roast substitution and we adored it. Very flavorful. Beef cheeks leech a gelatinous fat that is very off-putting. Yuk! Pg. 252 This was my first pot roast and I was a little disappointed. While the sauce was extremely flavourful the meat had essentially dried out. This was ok since there was plenty of sauce to moisten the meat, and the sauce was very good, but I prefer a meal that doesn't rely solely on gravy. I pureed the vegetables into the sauce with the immersion blender and this was a good move, resulting in a slightly thicker sauce that coated the meat very nicely. Overall while this was likely a good pot roast, I suspect I'm not a pot roast person. This grew on me as I ate it. The meat itself picked up a little flavor from the wine and was very tender. The sauce was flavorful but could've used more body and could've used being thickened as it was too thin. I love this pot roast! I find it takes at least an hour longer to cook than the recipe indicates to get fork tender. However, I live at 3500 ft in a desert climate, so YMMV. This pot roast was among the best I've ever had. Fall apart tender, and the sauce that resulted from the wine and beef broth combo was delicious. Served over hot buttered egg noodles. Pg. 254 I modified this recipe a little as I couldn't find any bone in short ribs. I went with the same amount of all the ingredients, but substituted 4 lbs of boneless short ribs for the suggested 9lbs of bone in. I braised for 2 hours, then broiled the pieces I had removed from the sauce for a few minutes at the end. Essentially I skipped the one hour of uncovered braising. The meat was tender, but still held its shape, and was still very juicy. The sauce was delicious (thickened it a little bit) and the two together made for delicious comfort food that was still impressive enough for guests. I went with the ground beef suggestion from bonne idee and this worked out really well. The thyme and garlic add just the right note, plus I added parsley and chives which really brought out the flavor of the meats. I went with just milk for the potatoes and they were just fine. For my Pyrex pan I we t with a recipe and a half and it made a good six servings. Great family comfort food. I've made this many times exactly as written - the recipe really doesn't need any adjustments - but my latest version was made without sausage meat and with sirloin tip roast. Still delicious! A family favourite. I made this exactly as written, including using cube steak, which I have never used for. I did not add the bouillon because we like our foods with less salt. I did serve this to company, and they went back for seconds. I would rate this a 5+. I thought the butter and cream in the sauce made it a more special/richer dish. I served this with sautéed Swiss chard. Truly a note worthy meal. Yes, it does take time to make, but it can be made in stages with the final cooking of only 30 minutes. Definitely a winter dish. Did not have an hour and half for boiling the beef, so went with the quick version from the bonne idee using 93% lean ground beef and hot Italian sausage. Also added the onion, carrot and celery that were supposed to boil the beef with in the ground meat mixture together with garlic, thyme and a copious amount of parsley. Also use Jarlsberg instead of suggested Gruyere/Comte/Emmenthal. I made this with lamb stew meat, and lamb merguez sausage, which had just the right note of spicy. I don't think the butter was really needed inside the potatoes, but definitely put some on the top to help with the browning- the browned crust is the best part. I also omitted the cream to no ill effect. Great winter comfort food. I just made it for the first time from scratch, using cube steak and adding in some of the vegetables leftover from simmering the beef. I topped the potatoes with Manchego instead of Gruyere, as that was what I had on hand, and it worked well. I've previously made the quick bonne idee version with ground beef, and that was really good, too. But the full version has a greater depth of flavor and the texture was a little more interesting; worth doing if you have the time and ingredients. Served it with roasted broccoli, which was a good match. I used a chuck roast, and Italian mild sausage. I chopped the vegetables and kept them with the meat. I used cave-aged gruyere on top of the riced and creamed potatoes. As blue room states, this dish does require quite a bit of kitchen time when started from scratch. We thought this dish was pretty tasty comfort food. Not something I'd ever serve to guests, but great for family. It would be a handy dish to throw together when you already have something like leftover pot roast, instead of starting the meat from the raw, uncut state. I remembered seeing this online somewhere, plated in rounds. It may be hard to see, but I cut each serving with a large tomato can. Mr Nightshade had three helpings, so I guess that makes it a hit. Definitely a satisfying, wintry supper. Briefly cooking the spinach and herbs (I omitted the arugula) and then pureeing it with the sauce, adds a nice complement to the flavor of the veal. It does make the sauce a somewhat disturbing green color. This was good over egg noodles. Nothing very interesting about this. The orange, even with the zest, ends up being a little flat and the pork and cardamom are an ok combination but not enough to lift the dish. 1 star out of 5 unfortunately. I cooked this first then wondered what other had to say. Do Not Do This Recipe. Most likely one of the worst pork tenderloin recipes I’ve done. I even had the cardamon seed pods in the spice rack. Too bad, she has tons of stellar recipes in her book. I was surprised by how subtle the spices in this were. Maybe I cooked it too soon after a month of Indian cooking! This dish was good, but it fell a bit short for us. I used to cook a lot of North African food, and I love the meat - spice - fruit combinations, but this dish didn't live up to my expectations. The aroma was wonderful while it was cooking, so I think the spice combination was the right one, maybe just not enough. There are a few possible reasons why this dish mildly disappointed. I used canned tomatoes, those plus the broth made it pretty liquid. Perhaps the lamb I finally found wasn't the best quality (Trader Joe's). We ate it pretty much right out of the oven, maybe the flavors improve over time. Again, don't get me wrong, it was good, just not great. This is a rather bland but acceptable fish dish. If you like me require a little more zip, serve with a flavorful or spicy side dish. Almond crusted fish fried in butter....of course it's really good. Don't skimp on the butter, salt, and pepper. This recipe requires a few separate preparations, so it's rather time consuming. Dorie suggests using the Cheating on Winter Pea Soup, page 59, for a sauce, so I made that and the tomato sauce. The filling is chopped onion and garlic sauteed in butter, baby spinach is added and wilted then chopped. Preserved lemon is also mixed into the filling. I used a bamboo basket over the wok. Dorie says 10 minutes and the mousse will feel springy. Mine didn't feel springy so I went an extra two minutes. They were very slightly overcooked. Rather than fanning the slices, worked better for me to make smaller slices and plate them on end. I liked this quite a bit. The tomato sauce with preserved lemon is very tasty, and it was nice to have two sauces to try. Would be lovely in smaller portions for a first course. Tasty, but not worth the purchase of the large jug of carrot juice sold in our market. Bacon was good on the scallops. Nice served on bed of steamed spinach. Another non-carrot sauce could do the job. This is my favorite way to make swordfish. The marinade / sauce as well as the herb salad is perfect for the heft of swordfish. Love it! This wasn't a winner for me. The fish is marinated in raw onion, and then sauced with the warmed up marinade. Essentially you are flavouring the fish with raw onion, which for me isn't a good thing. Found just what I was searching for in this recipe, easy & enjoyable. Very easy marinade for the fish and a quick sear in a pan. I skipped the onions in the marinade so the flavors were lemon, capers, piment d'Espelette and rosemary. Classic French marinade. I served it with Lemon barley pilaf and Tomatoes Provencal, two of her suggested side dishes. p. 300 This happens to be one of my favourite dishes so I looked forward to trying DG’s version. Though this is a simple preparation, the results were delicious. I have no idea what value the first boil and rinsing of the lentils adds but somehow this dish was tastier than our usual salmon and lentils dinner. I’d definitely make this again; we both loved it. Really delicious recipe that will go into our regular week-night rotation. I soaked the lentils in the morning to try to speed cooking since I would be making this after work, and so I omitted the boil and rinse step. I also omitted the clove. We had three small filets of salmon, not one large piece, so I wasn't really sure how to modify the baking instructions. I did bake at a lower temp of 430. That took longer than expected, and I should have put it in the oven earlier, before the lentils were cooked through. Other than that, we followed the recipe pretty closely. I was skeptical about the amount of broth added to the lentils at the end, but it was the perfect consistency. This came together so easily and so quickly with next to no mess to clean up. You can be relatively generous with the seasoning here if you like as the fish takes very well to eat. Cook for 10 minutes, maybe 11. This comes together very easily and makes a nice little spice crust. I think you should go lighter on the cooking time, maybe half as long. I put the tuna in to marinate in the morning, and finished up the dish and the sides after work. The tuna marinates in a mix of preserved lemons, sun-dried tomatoes, garlic, spring onions, celery, parsley, thyme, rosemary, fleur de sel, red pepper flakes, lemon zest, lemon juice, and olive oil to cover. My tuna steaks were arranged to fit exactly into a loaf pan, so I didn't require the full cup of olive oil to cover them. After marinating, the tuna is slow baked (at 225) for an hour, covered in plastic wrap or foil. I didn't do any checking just took it out after an hour, which was perfect. While it was cooking I made the salsa. This was a great dish, we were extremely happy with the flavors. It's a different way to prepare tuna, and I loved the taste of it with the salsa and tapenade. Smaller servings of this dish would also be wonderful for a first course in a multi-course dinner. p. 316 - In my view, this dish doesn’t compare to my T&T fave from Epicurious. This is the first dish from AMFT that I won’t recommend. I served this over Fettuccine. The dish was okay for us but not great. One of the things I love about mussels is their liquor and I love how it infuses sauce w it’s flavour. In this case I felt that the tomatoes were overpowering everything else. Perhaps is only 14 oz were added I may have felt differently but this was very much a tomato sauce w chorizo and mussels in it in my view and neither the chorizo or the mussels really had a chance to shine. I also felt the sauce lacked seasoning. The two thyme sprigs were inadequate to deliver any real flavour to the sauce and the mild chorizo was rather lost I felt. It did add some smokiness but was otherwise washed out. We eventually add some chili flakes to our plates and that seemed to help a little bit but this dish was disappointing. Pg. 320. This recipe screams "Summer on a plate!" Having just returned from the farmers market with ALL of the main ingredients, making this was a no-brainer. It was easy to assemble and we thoroughly enjoyed it. I grilled the scallops, but next time I would prefer a pan-sear. I used sungold cherry tomatoes which were delicious. My biggest quibble was with the corn -- it is not cooked, just tossed with a small amount of a lime/chili dressing. I really would have preferred it cooked, as that brings out more of the sweet corn flavor, so I would do that next time. The star of the show? The grilled nectarines. So delicious. Also, no reason you couldn't sub peaches for the nectarines. This was delicious. I used frozen corn, blanched in boiling water and iced down, a large vine-riped tomato cut into chunks and basil from the garden. Had trouble making the coulis because I halved the recipe, the amount for was too small even for the mini processor, probably should have used the blender instead. Very nice side dish, with great combination of tartness and savouryness. The asparagus flavor is very subdued as its only blanched. The flavors are good but don't really elevate the asparagus. I think this is a great idea and works quite well, the only challenge is that you definitely need a bit more seasoning than she suggests. I woujjld go with a squirt of actual lemon juice at the end, plus up the salt and pepper. This was a delicious way to serve spinach. The lemon flavour was subtle but noticeable. I will definitely make this again. Pg. 331. Loved this. So simple and quick to prepare and the resulting dish is very tasty. I'll be making this again soon! I found my new favorite new way to cook spinach. And I used regular sized leaves - not the baby spinach. Very flavorful and easy. Love this recipe and have made it many times. It's quick, tasty, easy, and healthy! The flavour is pretty good but the challenge is that the flavour of the green beans doesn't really meld with the pancetta which keeps it from being great. Added a little bit of lemon juice to up the tang. Overall very nice side with good flavour, interesting texture, and healthy. The broccoli caused the crumbs to get soggy for me. Next time I would sautee the broccoli then add crumb mixture once sure any excess moisture is gone. Delicious. Used local farm broccoli and garlic. Homemade ciabbata bread crumbs. I loved these and Spencer quite liked them. The cardamom and ginger gives it a nice Indian flavour, but the butter makes it perfectly French. Great side! Easy and lovely. The children had no complaints about the flavours. Very nice, carrots are inherently sweet, no need to glazed it with OJ or honey like most other glazed carrot recipes. Super fast and quite tasty accompaniment to make when short on time and cupboard ingredients. The variation ideas one could come up with on this are endless. I quite liked this combination but Dave put it in the do not make again category. It would manke an especially good meal eaten on a porch with a view. I really liked this as well, but I needed to add more sugar. It was just too sour with distilled vinegar. I think I would try the seasoned vinegar next time. A lovely way to cook summer tomatoes. Very simple - halved tomatoes topped with olive oil, garlic and herbs then baked. A nice side for meat, poultry or fish. Pg. 348. This was a very nice way to cook baby bok choy. Can't say the same for the snap peas -- I think they need to be cooked in a more crisp way. I couldn't find baby white onions, so substituted segmented shallots. Also, I discovered I'd used all of the mint on another recipe, so I substituted some tarragon sprigs. Anyway, we enjoyed the dish and I'd definitely make it again, minus the snap peas. The flavours were very nice, especially with the orange and mint (which I added after opening the packages) and even the tender-crisp texture of the vegetables was good (I quartered the bok choy so it would cook in the same time as the peas) but their colour was terrible, verging on that overcooked appearance. I won't use this cooking method again but I will serve this combination again. This european twist on Bok Choy is nice. Go heavy on the garlic and the orange zest. You forgot the mint, which you definitely should remember next time as it will definitely add complexity. Despite these small things it is a recipe with great bones. This is a great--and flexible--recipe. I've varied the herbs, made it without shallots, swapped out the Swiss chard for kale, and it always turns out well. Even my vegetable-averse 2-yr-old likes them. The pancakes are very good leftover. I made a miniature version of these. I used a much smaller amount of oil in a non-stick pan. Even so, they absorb quite a bit, and still required blotting on paper towels. I started out doing five to the pan, ended up doing seven and eight. I just used a scant 1/8 cup per pancake. The browning, however, is not as even with less oil in the pan. I pureed some roasted red peppers and chopped up some peppadews, mixed them with a spoonful of sour cream, some lemon zest and a bit of piment d'espelette. Just a little shot of color and spice. I love these! All the tastes come through, fresh and green, and enveloped in the rich tasting batter. I'm kicking myself for only making half a recipe. I wish I had a big stack of them sitting in the fridge. I wasn't in love with these. I have a Vitamix, so I think my chard and herbs got a bit too blitzed so I ended up with a very thin green batter, which turned into very thin, very green pancakes. I think next time I'll just chop up the herbs and chard in the processor and then incorporate them with the batter. I also think I may have under-seasoned. Hard to tell if you don't want to taste the raw batter. Brussels sprouts are tossed with butternut squash cubes, chopped peeled apples, olive oil, salt and pepper. They are topped with a little bit of brown sugar and fresh sage leaves, and cooked in aluminum foil. As I see it there were two problems with cooking in packets. It's a much bigger deal to check for doneness when you have to open or slit the foil. And the contents tend to produce liquid and consequently steam themselves. In the 25 minutes written, our vegetables were very overcooked. The sprouts were a greenish grey, the apples were mushy, even the squash was slightly overdone. I did like the flavor combination, I would do it again, roasting the same ingredients in an open dish, so they would brown and caramelize a bit. I did not care for this at all. The vegetables basically steam and overcook. There isn't any added flavors except for the vegetables nor is there any caramelization. The Brussels sprouts in particular were not appetizing. Just a simple roasted vegetable dish: peeled and quartered J. chokes are tossed in olive oil, sliced garlic, thyme, rosemary, salt, and pepper. Dorie states sprigs of herbs, which sounds like you should add in whole sprigs, but I took off the leaves and tossed them. This cooks for 35 to 45 minutes at 400. I cooked it at 425 as I had a J.O. chicken dish in the oven at the same time, so it was done in the shorter time. I deviated slightly from the recipe by adding a few quartered radishes into the mix. The vendor at the farmers' market said that roasted radishes where the "latest thing." Who knew? Anyway, it was quite nice, if not earth-shaking. A different use for both J chokes and radishes, which now may be going into some of my regular roasted vegetable dishes. This got rave reviews. Be careful not to over process or the potatoes will get gummy but overall this was a perfect side the really does go with everything. I found the celery flavor to be dominant and a little off putting. I made these to go with the pepper steak in the same cookbook. I thought the potatoes were boring. Husband really liked them...after going to the fridge and slathering them with canola/butter spread! I used fingerling potatoes, unpeeled. The aroma of fresh rosemary sprigs, bay leaves, and garlic in the broth was lovely, but, unfortunately, didn’t transfer to the potatoes. This cooking method added lots of flavour to plain boiled potatoes. I used peeled and quartered Yukon Gold potatoes and I think peeling helped them to absorb more flavour. These were truly decadent. Garlic infused cream, potatoes, and Gruyere make this a rich and delicious side. This turned out perfectly. It did take a little extra time in the oven, about 55 minutes, even though we possibly used fewer potatoes than she indicated. The prep was simple, and the active time was short. So delicious - one of our favorites. I slice the potatoes in the food processor so it's quick to assemble. Used half heavy cream and half whole milk. Usually end up baking 5-10 min extra and then letting it rest 10 min out of the oven. I love a dish that takes me somewhere - and this took me right back to our apartment rental overlooking the Eiffel Tower. Simple, elegant, just how it should be. I used a mix of potatoes and white sweet potatoes for a family dinner, and it was heavenly. I doubled the recipe to feed a crowd, and overestimated the additional milk needed to ensure the potatoes were cooked through by quite a lot. Next time I would limit to the cream, and just cover with foil to make sure the top layer softens. I used dried thyme and rosemary-just enough for light sprinkles on top. As the others said, it's ok. All the flavour comes from the bacon though, so the dish needs a good quality one and lots of it. Breadcrumbs is right, I think. A heavy hand with the salt, the pepper and the nutmeg are most helpful. Also, "cauliflower gratin". Starts with cauliflower. Sounds healthy, yes? Not so much. Quiche in disguise, because, really, it's a dinner of cream, eggs and bacon with a smattering of cauliflower to give it a faint whiff of respectability. Still, absolutely worth playing with. Reasonably idiot-proof, and I thought it was yummy! p. 362 - Maybe my expectations were set a bit too high for this dish. I loved the idea of it, certainly all the individual ingredients appeal and, in terms of presentation, without a doubt it’s a lovely looking dish. All that said, I liked but didn’t love this dish. K proclaimed this a hit. Not that the cream, bacon and cheese might have had anything to do w that! I followed the recipe as set out in the book and made no modifications at all. In hindsight I’m wondering if I might have preferred it w some onions or scallions. It did seem to liven up w a sprinkling of salt at the table. Not sure I’d make this again. This s better than ina's version since it uses a custard instead of a béchamel. It looks better and tastes better. I was disappointed with this recipe. A cauliflower/broccoli gratin is a firm favourite in our house and I thought this might be a change from the usual béchamel sauce and cheese. I made a half recipe - which was still a lot - so that may have affected things, but it seemed very "eggy". Don't think I will make it again. Might keep the idea of adding bacon though. This was good but very very rich. A great alternative Thanksgiving meal for two. Heads Up, LOOK FOR ANOTHER SPAETZLE RECIPE NOW, THIS ONE IS FLAWED. This recipe was never tested before they put it in the book. My kids love Spaetzle but were so disappointed in this recipe. So I did let the “batter” sit for about 20 minutes before going in the water. It did look like ramen in the water. Oh Sit. Add more flour on the next batch. That did help, a bit. Then comes the chicken broth. Oh no, what is she trying to do here? Polenta? This recipe, or more precisely the measurements are off. And the chicken broth. So.....DON’T DO THIS RECIPE, IT’S SEVERELY FLAWED and will make you mad you wasted your time and dinner on it. Or someone, try and go step by step and tell me I messed up somewhere and this is worthy Spaetzle, I will understand. This was very good. Covered and simmered rice for 25 minutes, it barely absorbed all the liquid, but with the lid off for the last 2-3 minutes, rice was done and ready for cheese, spinich and cream. Yummy. It did stick a bit to my stainless saucepan....a non stick saucepan would probably be a good idea. Overall we really liked this. 1 recipe serves 4 - or 3 if someone is pretty hungry. Also, I used baby spinich which I added to sauted onions/garlic/evoo. That worked well. Used a mix of shredded gruyere and swiss, which melted well. Terrific vegetarian dinner as well as a side for simply grilled or roasted meat or fish. Good as leftovers, too. I'm in the minority thinking this was simply alright. There wasn't a lot of flavor the rice and there was enough cream or cheese to make it either creamy or cheesy. I didn't have the proper cheese so used parm, and I went quite light since mom isn't a huge fan of parm and it was quite nice. I also finished cooking the rice on medium heat to make sure it absorbed all that liquid. Overall the recipe would be great with a bit of tweaking, but it is tweaking that is well worth it. Risotto like without as much effort. This was terrific. My rice was mostly done after 15 minutes and finished covered, off the heat. It did not absorb all the broth (not a lot left) but after finishing the dish up with cheese (Jarlsberg) and the rest of the ingredients it actually made it creamier. My carnivore husband went back for seconds. Great “Meatless Monday” meal. I will chime in and say that this is quite good and very easy. Surprisingly I was also worried about the amount of water but I had to let it rest for closer to 15 minutes and by the time I served it was actually just right. On the whole a great, healthy and simple side. The only change I made is I went with olive oil instead of butter. Pg. 383. We really liked this! It's quite simple and made a nice accompaniment to roast chicken and green beans with lemon. One tip: The recipe calls for 1.75 cups of chicken broth and .5 cup of water to be added to the barley. Not all of the liquid was absorbed, even though the barley was fully cooked. In the future, I would omit the 1/2 cup of water. And I will definitely make this again. A flavorful side dish that requires little attention once simmering away. I liked the addition of finely diced carrots and red pepper at the end. I agree with the other 2 notes that there is too much liquid - skip the water. Pg. 383. FYI, I just spent a great deal of time looking for this recipe. It is not listed in the general index or in any of the chapters' tables of contents. I finally found it on page 383 as a sidebar to the recipe on that page -- Lemon barley pilaf. I thought I would share this with all of you, to save you some time! Yes, the plastic wrap melts even with 'microwave safe' wrap. I think maybe parchment paper then the foil?? It took me twenty minutes to clean up the melted wrap and remove the top couple of layers or apple to be sure I got it all. A delicious recipe! (My kitchen smelled like heaven while this was slow-baking!) The orange was a lovely touch -lemon rind would work too. I made a crumble with brown sugar, flour and butter for the top and after the long bake, served it warm with gelato. Quick. Easy. Awesome. Obvious, in retrospect - like all the really great ideas! This simple cookie is PERFECTION. It is the quickest, easiest, most delicious butter cookie ever. Always gets tons of rave reviews. Got to agree with Salt. So delicious, it's hard to stop breaking pieces off. And so pretty too with the glazed hatch design on top. I found this cookie to be good enough to eat but I'd much prefer a sable. Rustic but oh-so-good (and easy to make). erratum- In the recipe for Speculoos on page 406, one large egg, at room temperature, was mistakenly omitted. Beat it into the butter-sugar mixture. Deep chocolate flavor and not as heavy as many mousses because there isn't any cream in the recipe. A great recipe for a last-minute dessert, though I do like to leave it to chill for a while in the fridge if there's time. I was in a rush when making this so I maybe added the egg yolks when the chocolate was a bit warm as it became very solid. Though the reviews on bonappetit.com suggest it also seizes when the chocolate is cool. To get it smooth I had to really whisk in the egg whites rather than folding so I lost a lot of the volume (it now served 3 rather than 4). Tasted good but probably not as fluffy as intended. I've been meaning to make this for ages, given that it's the most reviewed recipe on EYB. I'm embarrassed to admit I didn't take note of what everyone said about cooking it longer - my cake was nicely golden and a cake tester came out clean after 60 minutes so I thought it was good. But when we ate it (at room temperature a few hours later) the center was definitely under-cooked. I will make it again as I liked the flavors and the fact it's more apples than cake. I used 4 different apples as suggested which I think helps the flavor. I served it with cinnamon ice cream from David Lebovitz's Perfect Scoop. Lovely fall dessert. Baked for about 20 minutes longer than recipe called for. Bread pudding like. Excellent. As others said, bread pudding like, easy to make, not too sweet. Probably needs more cooking time then recipe states though (I baked for 60 minutes and it was slightly underdone). Nice with creme fraiche! Thought I put it together incorrectly because there is just enough batter to coat the apples, but it came out great. Will make again and again. Love this cake. I've made this more times than any other dessert recipe. I like to brown the butter for more depth of flavor. Also, better when increase the cinnamon ratio and a dash of lemon zest, but only a dash. This did need to bake longer than 60 minutes. Perhaps baking it in a 9" pan and cutting the apples in smaller pieces would be a good idea. I'm going to cut back the butter a little next time. Raisins would be a good addition. Very simple to make with excellent results--probably wouldn't serve at a dinner party because of its simplicity, but great for brunch/tea. Took about 75 minutes to bake- almost like a bread pudding consistency- extremely quick to throw together with impressive results. Delicious recipe. Loved it the first day when the cake was just a little crusty. I used honey crisp apples and they were sweet. Next time I will use all Granny Smith or a mix of Granny's and another apple. Excellent and easy. Needs 15 minutes longer to bake than stated in the recipe. Will make again! I've made this cake twice now, the second time was an experimental version. This recipe is frequently posted online so I won't go into details. The experiment I did with the second cake was making it gluten-free. Since the cake is pretty flour-poor and fruit-rich, I thought I had a good shot of making something edible. I think gluten free flour takes longer to cook than wheat flour. Even after adding additional baking time the cake was a little pudding-like. But very tasty. The cake made with regular flour baked well in the allotted time. I really like that this cake calls for four different types of apples. I used a Braeburn, a Honeycrisp, a Pink Lady, and a Jazz. I had my own little apple tasting as I was chopping, the differences are amazing: sweet, tart, sharp, rich, etc. Mmmm. And you can really taste the different flavors in bites of the cake. Next: I want to try this same cake recipe with fresh peaches. Great dessert for people with diabetes as it is not too sweet with mostly apples and very little batter. I like this cake and have made it several times. It is delicious right out of the oven. This cake is more apples than cake. I used a 9 inch springform as I don't have an 8 inch so the cake came out thinner than is shown in the picture. My apples were quite large and the batter just barely coated them so the cake, although done, came out quite wet I really like the rum with apples. I agree with the other reviewers that this needed to bake for more time. The cake was simple and delicious and I was happy to have something other than the obligatory apple/cinnamon combo. Very nice light cake, everyone enjoyed it. Would make again. Couple of unusual (to me anyway) techniques: soaking the blueberries in syrup not only plumped them up, but also added a hint of sweetness and mixing the mascarpone into the whipped cream seemed to have stabilized it. The cake itself rolled up well.. All in all, a wonderful dessert. Beware that the untrimmed roulade is 17 inches long, I had to buy a new platter to serve it on since I did not have anything that could hold something that long. This was a lovely light summer dessert. The sponge was easy to make and rolled well. It makes a very long roulade which can be an issue when serving. I agree with jzanger that the mascarpone and whipped cream method isn't great. By whipping the cream first until stiff then mixing into the mascarpone it is hard to get the lumps in the cheese out without over-whipping. I liked the blueberry method - the sweetened, softened fruit worked better in the roulade than fresh fruit would have done. I would use certain parts of this recipe if I made it again, but I’m surprised to say I have a few issues with a Dorie recipe. The sponge cake was easy to make, the batter filled the pan well, and it had a good texture, but it may have been a bit TOO eggy for my liking. Also it had zero salt in either the cake or the filling. I don’t know why I didn’t add salt to the filling anyway as I always add it to my whipped cream. The blueberry process was brilliant and I will definitely use that again, but the mascarpone whipped cream process was overly complicated and it deflated. I’ve made mascarpone whipped cream for years and I’ve always whipped the cream WITH the mascarpone by first adding a small amount of cream to the cheese until the lumps disappear and then adding the rest of the cream, sugar, extract and salt, and whipping until it’s done. It works every time, requires one less bowl and doesn’t deflate because there’s no need to fold a lumpy mixture into light whipped cream. These were really good when they were warm and fresh, but lost their great texture after sitting there for a while. So, I totally recommend it if you need to serve something fast. Very good. Dorie said they can be made by hand in minutes by whisking ingredients together. I started out with a balloon whisk, but the dough was so stiff, it formed a ball inside the whisk, I had to switch to a Danish dough whisk to finish the job. I may try the stand mixer with the paddle attachment next time. Loved this variation of the traditional pear-frangipane tart with fresh orange segments in place of the pears. And then there's Dorie's never-fail tart crust which is good enough to eat on its own. Fabulous! My family loved this recipe, but I would definitely add more almonds to the frangipane if I made this again. I liked the purity of the simply poached pears, but others may enjoy a spiced poaching liquid. I just made this with what might be the last Western Slope peaches of this season. This (to me) is almost the perfect dessert--luscious fruit with a bit of cream. The toasted almonds give it a nice counterpoint crunch. If you make this with medium to large size peaches, you could get away with just serving half a peach per person, and this recipe would serve 8 instead of 4. I would buy extra raspberries in this case. p. 484 - The recipe itself is pretty standard. One part acid to three parts oil along w some Dijon mustard, S&P. In the base recipe DG recommends red or white wine vinegar (I used white). DG does not include shallots, garlic or herbs in her base recipe though her head note certainly acknowledges that you may wish to do so. Since I intended to store leftovers in the fridge, I decided not to add herbs (which I find shorten the shelf life of dressings) but I did add some crushed garlic. I always find that the success of vinaigrettes (like most dishes w very few ingredients) is relative to the quality of ingredients you use. In this case I’d recently purchased a wonderful white wine vinegar at a Niagara winery and I’m guessing that’s why we were especially pleased with this vinaigrette. I made this tapenade to go with the Tuna Confit (page 305). This is an easy accompaniment that can be thrown together in minutes . Black olives, an anchovy, lemon zest, lemon juice, rosemary, thyme, piment d'espelette, and olive oil, are thrown into a food processor and blended. Very salty, of course, and a little goes a long way. This would be great on a white fish, chicken, or just on a slice of bread. I'm not going to rate this recipe yet because I think it takes technique. I used too little plastic wrap. Next time I will use larger pieces. My eggs leaked out when I was tying them. I will also say that while you can prep these ahead of time, unwrapping them and plating them takes time. Maybe I will get faster, but I did six eggs and by the time they were on the table the yolks were overcooked. Like I said, it will take some work, but they are cute. This was the first brioche recipe I've made that yielded results as expected, so I'll always be attached to it. I suggest it to beginners all the time. I had a very difficult time rolling out this dough and had to "patch" many spots. It was too dry and I should have added a little more water. The perfect path brisée recipe! Not too rich, not too lean. Needs more chilling so plan your time accordingly. Used for Gerard's Mustard Tart, Bonne Idea version with sliced garden tomatoes. Used for Gerard's Mustard Tart (p154) and it turned out great. qianning says on COTM thread: The result was a ridiculously heavy gloppy "cream" more or less the texture of uncooked cream puff dough, dull and heavy. Try to find THIS in the index - HA! It is on page 507 in my edition. Tastes pretty good - I let this cool too much the first time I tried this but I was more impressed the second time, after reheating (I really like that the head notes suggest this will keep for up to 3 weeks). I substituted golden syrup for the light corn syrup. Easy and delicious caramel sauce. Made a double batch (although I more than doubled the sea salt) to store in fridge for serving with vanilla ice cream. Next time I might cook the base slightly longer before adding the cream as the end result was slightly runnier than expected. Gave a light curry flavor, not overwhelming, but a nice complement to the fruit. I added two small sweet onions. We ate this as a side dish rather than in soup. I made this with duck confit and some pork belly (omitting the garlic sausage). I found that the vegetal flavor dominated in the broth. The cabbage completely disintegrated into the broth. I added a little bit of red wine vinegar at the end which helped to round out the flavor in the broth. Made this tonight up to the point of adding the sausage. I really love the way it tastes before adding the sausage, so I will batch test the addition before adding it the rest of the pot. Used boar stew meat for the pork and 2 chicken legs (leftovers) in place of the duck legs. The dressing is excellent. I've tried it two of the suggested ways: once with goat cheese and once with crumbled blue (omitting the onions). Both were wonderful. This is a variation on the potato and onion tortilla from the same book. It is pretty good but a little simple for my taste. Be careful not to overcook. p. 153 - I simply couldn’t imagine this dish w steamed onions so instead, I melted some butter in a large pan and slowly caramelized the thinly sliced onions then set-aside for later. I also chose to cook the bacon ahead used the bacon fat as a base for the sauce in place of the 1 tbsp butter DG suggests. (this also saved dirtying another pan!!). Though DG mentions that when Michel Richard originally created the dish he intended the onions to replace the spaghetti in an original Carbonara, we took DG’s Bonne Idee from the side-bar and decided it would be tasty over spaghetti. A quick and delicious meal, especially if you prep the bacon and onions ahead. The sweetness of the caramelized onions is what took this dish from good to great in our books. Terrific picnic fare with late season tomatoes. Really need to pile on the dried beans when pre-baking the shell though, else it shrinks in spite of chilling. Quite a bit of work, but delicious. These came out very light. A good quality ricotta pushes this dish over the top. I agree that these are quite a bit of work, but wow are they good. I will try the shrimp filling the next time I am lucky enough to find squash blossoms. Very "gourmet" for little effort. I used 2 large pork steaks. Greenspan just plain loves French food, old and new. And because she’s as companionable a writer as she is a cook, this book is as much fun to read as it is to cook from. I predict that it will become a classic. It will.....be a cookbook today’s children will remember as one of the ones that was out on the countertop often during their childhoods. This was not a keeper. I found it to be rather tasteless even after I doubled the 5 Spice. It improved somewhat, but not enough to make it again. Beware, the plastic wrap does melt! The sunny colors and starburst pattern make it hard to believe this is the winter version of this tart...perfect in its simplicity and I’m glad there are two versions so I can make this year-round. The mustard is incredibly and unbelievably subtle and everything in this tart works together beautifully. As a testament to how yummy these are, they survived me putting not enough of the wrong kind of cheese in them. With the spices, aromatics, chiles, coconut milk, and all the great garnishes, this soup was big on flavor...the noodles and chicken made it a substantial meal. This soup is good but just not my thing. With a deft touch and a handful of ingredients, the beloved and award-winning author combined the juice, segments and zest of navel oranges with a few crushed cardamom pods and a chopped onion. I’d never thought to put these three ingredients together, but I supposed that’s why I’m not Dorie Greenspan. My one word reaction: wow. This cake is everything I love about homey French desserts: beguilingly simple and not even very pretty, but presents the very essence of what it’s supposed to be. This is such a simple, satisfying and forgiving dish. I'm not a big pork tenderloin fan, to tell the truth, I find them somewhat bland. Dorie changed my mind with this...my apology to pork tenderloins of the world, it wasn’t you, it was me all along. A simple recipe that produces the most velvety and delicious soup. Perfect for a crisp fall evening. The chestnuts give it a wonderful and unique flavor - I can only imagine what the real Kuri squash would taste like. ...I couldn't wait to try it. So. Darn. Good! I've made these several times and everyone loves them. Think a cross between a tuna spread and caviar. Overall, I was pretty happy with this as a quick lunch, but it didn't blow me away. I'll have to try it with the real deal of potatoes sometime and see if that changes things! OMG, guys, you need to go make this recipe right away! This...recipe couldn't be easier - and I can't lie, I changed Dorie's recipe a bit to make it even more streamlined. The result was like a giant, gorgeous muffin - and said giant muffin smelled heavenly coming out of the oven! ...the combination just didn't work for me, mostly because the pasta was just too rich. I'm all for butter, but along with nuts and cheese it was a little overwhelming. The cookies were not-too-sweet, and even could have been a little saltier for my taste. In any case, they're definitely highly addictive and I was a big fan. These come together quickly, are made with a few basic ingredients, and are fun to share with friends... they disappear quickly leaving only a few tell-tale crumbs behind. I haven't ever cooked scallops before, but they were a breeze - just a couple of minutes on each side made for perfectly browned-on-the-outside and tender-on-the-inside scallops. Just a simple rice dish, or is it...? Is it risotto? It doesn’t have to be stirred for hours without stopping yet it is creamy. You don’t have to watch it continuously, yet it doesn’t burn!! I only made one little package as I am the only one who likes salmon. ...but it was good! This is a cold soup. Cantaloupe. Lime Juice. Ginger. Interesting combination. And not bad. This was good! This was easy! This was elegant!! I think it’s the shape. Or maybe it’s the name – terrine- whatever it was. Repeat!! With the addition of the marmalade and the ribbons of Parmesan cheese it was probably the best burger I have ever eaten. ANYWHERE!! I liked this burger despite the fact that it IS messed-with and fancy. And how delightful it is. Slightly sweet from the fresh corn subtley fragrant with the mix of thyme, bay leaf, and rosemary. Delicious from the first bite to the last. There’s enough butter in these waffles to give them good, rich flavor which fit well with the salty, savoriness of cured salmon. Salmon, chives, and creme fraiche is a mix that works every time. Every now and then you find a recipe that speaks to you on an entirely different level. A recipe that you think about long after you’ve eaten it. Not quite Cheez-its but you won’t care. They’re better. A true rite of passage: I made my first souffle. And I see the world differently now. These were absolutely delicious. Warm and cheese-y and bread-y and pumpkin-y. Now in a big, personal, and personable book, Dorie captures all the excitement of French home cooking, sharing disarmingly simple dishes she has gathered over years of living in France. Around My French Table includes many superb renditions of the great classics: a glorious cheese-domed onion soup, a spoon-tender beef daube, and the “top-secret” chocolate mousse recipe that every good Parisian cook knows—but won’t reveal. 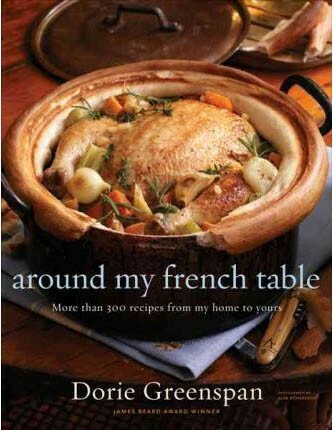 Packed with lively stories, memories, and insider tips on French culinary customs, Around My French Table will make cooks fall in love with France all over again, or for the first time.